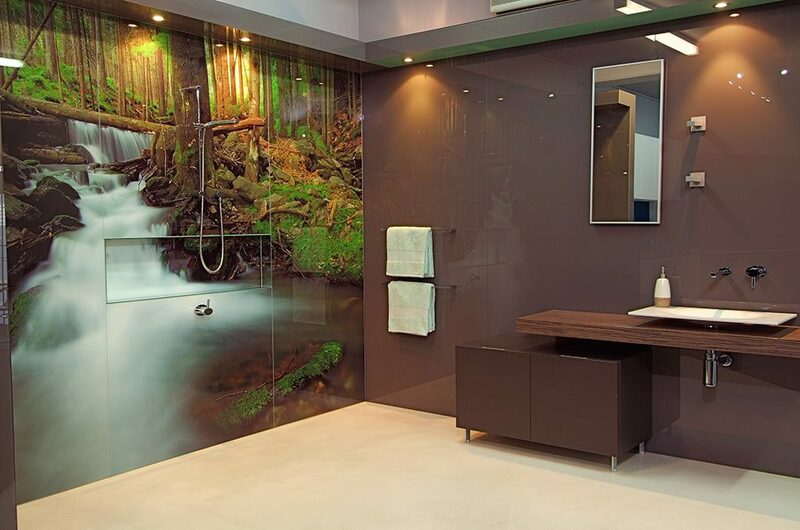 Beautiful, durable and incredibly easy to clean, DecoGlaze™ coloured Glass wall panels and bathroom Splashbacks create the ultimate style statement for your bathroom. 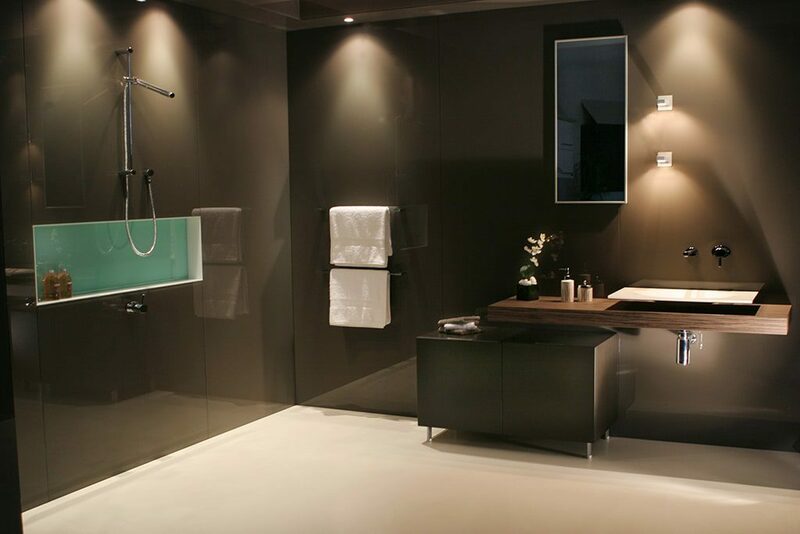 With a wide range of colours available, we can create a solution to suit any bathroom design. 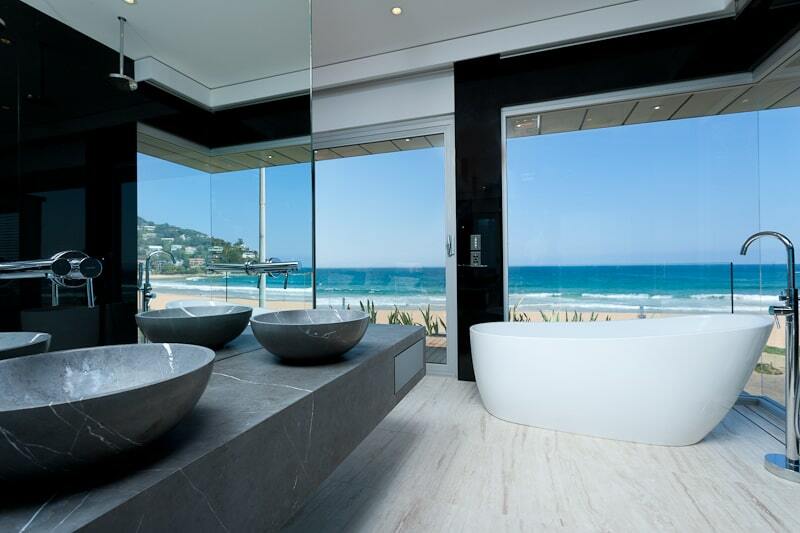 Sick and tired of cleaning mouldy grout in your bathroom? 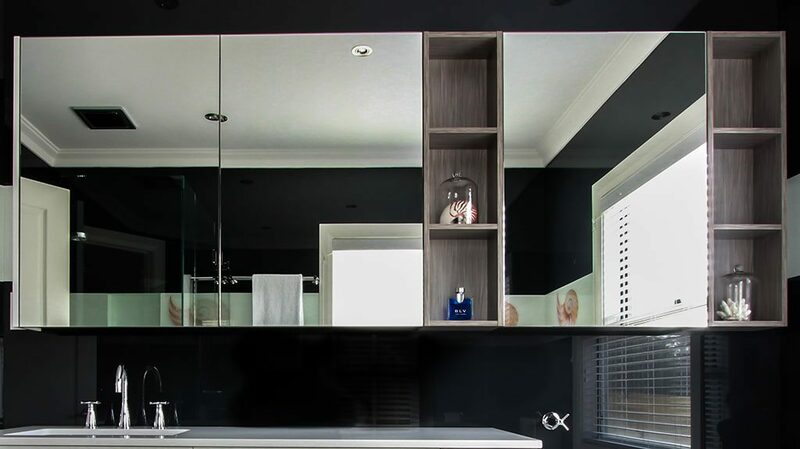 DecoGlaze™ coloured Glass Splashbacks and bathroom walls are the answer. Installed either over existing tiles, or on bare walls, cleaning becomes a breeze, especially when using DecoGlaze™’s All Surface Cleaner. A tile-free wall provides no crevices for dirt to accumulate, making cleaning a breeze. 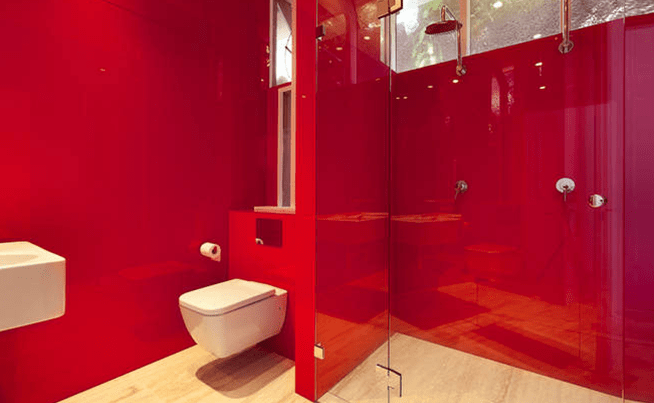 Furthermore, having coloured Glass Splashbacks and Bathroom Wall Panels installed reduces the risk of water getting through loose grout, which can happen over time and results in expensive damage. 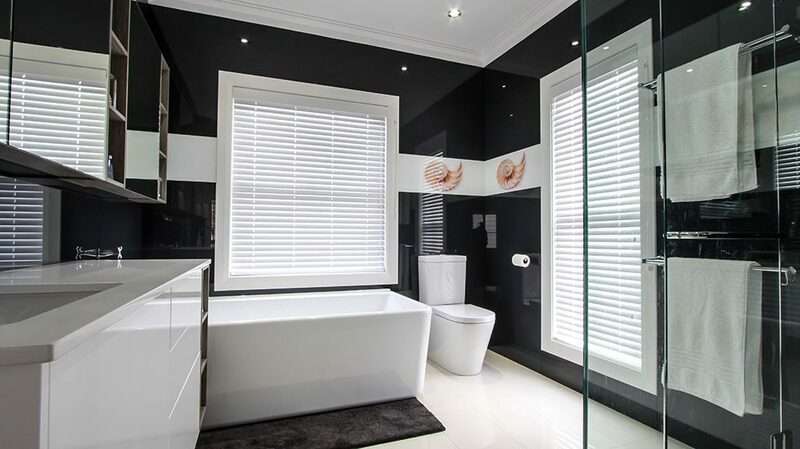 When deciding on a colour scheme for your bathroom, it’s important to know that different colours take on their own persona, depending on how much light is available and whether or not that light is natural or artificial. 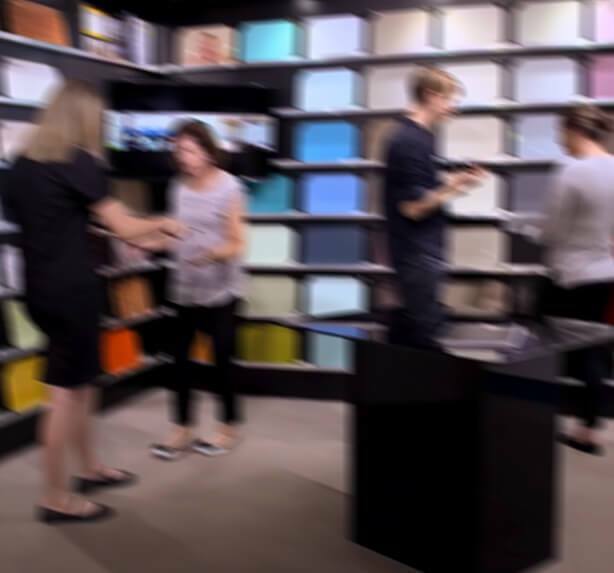 We can provide a vast range of exclusive colour samples for you to test in your bathroom, allowing you to view which colour best suits your decor, lighting and surrounding environment. 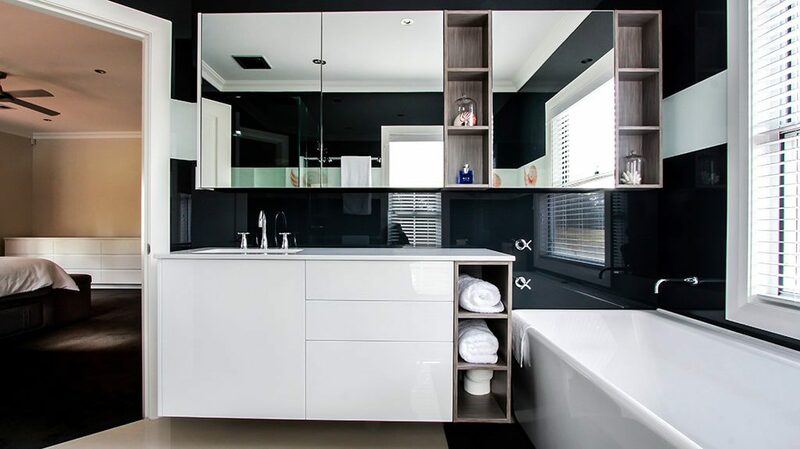 The smooth, reflective nature of glass can make a small bathroom feel and look much bigger. 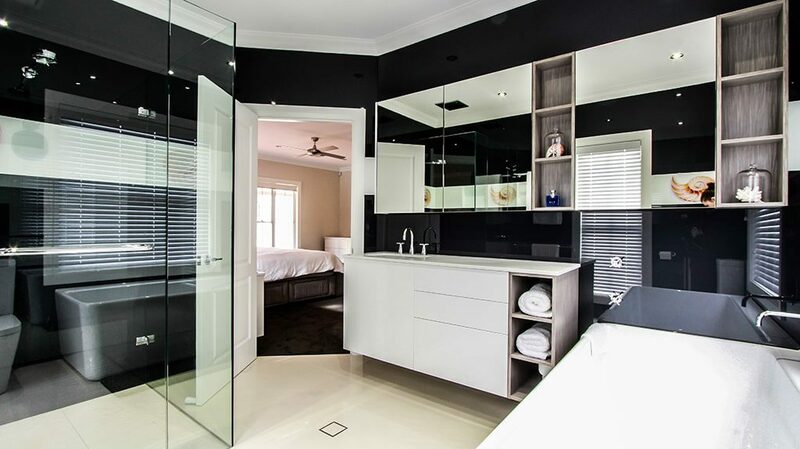 Contact DecoGlaze™ today to see how easy is it is to “Add a Splash of Colour” to your Bathroom!